Were You There at Cormac McCarthy’s First Book Signing? I was not. But theoretically, I could have been. McCarthy, though best known for his Western novels, wrote his first novel about the people and places nearest to him. Suttree was a poignant, yet brutal depiction of his hometown of Knoxville. As you read this, you have a chance to meet the next Cormac McCarthy, the next Elmore Leonard. Tomorrow, Saturday, March 16, Frank Bill will be reading from and signing his first novel, Donnybrook, at Destinations Booksellers. The celebration of Bill’s book kicks off at 1:30 with a pop/classical flute concert that will continue throughout the afternoon. The author reading begins promptly at 2 p.m. Afterward, Bill will take your questions and sign copies of his novel. Please don’t miss this once in a lifetime opportunity to meet an author at the launch of what will certainly be a stellar literary career. 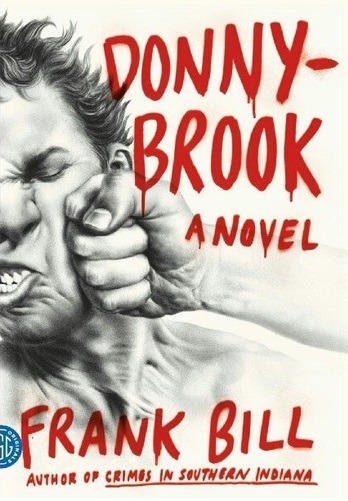 To make it easier for you, we’re offering a 30% discount all day Saturday on in-stock regularly priced (non-sale) merchandise throughout the store if you buy just 1 copy of Donnybrook. We’ve done extensive promotion and advertising for this appearance, so if you don’t come to this event, it will severely limit our ability to bring in top-flight authors in the future. Destinations Booksellers is located at 604 E. Spring Street in New Albany, Indiana. We’re open Monday through Saturday from 10 a.m. to 6 p.m. You can call us at (812) 944-5116 or e-mail us at destinationsbooksellers@gmail.com. At our Website, www.destinationsbooksellers.com, you can order books, music, and movies (at a discount) for delivery direct to your home. You can also search and buy e-books and you can rent your college textbooks. Destinations Booksellers is a full-service bookstore selling new books only (no used books and we do not buy used books) plus selected gifts, games, toys, and music.